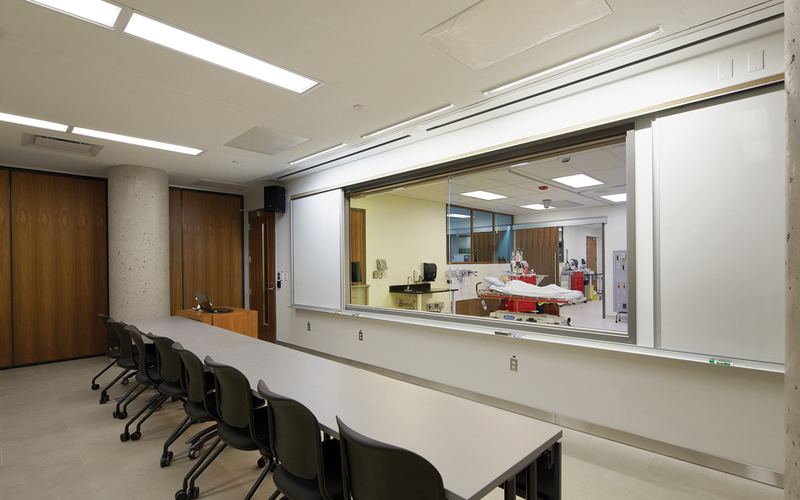 The Queen’s University School of Medicine is a state-of-the-art multifaceted facility. It updates, consolidates, expands and relocates the teaching, research, administrative and student facilities which had previously been scattered across several buildings, and was built to ensure sustained teaching and research excellence. 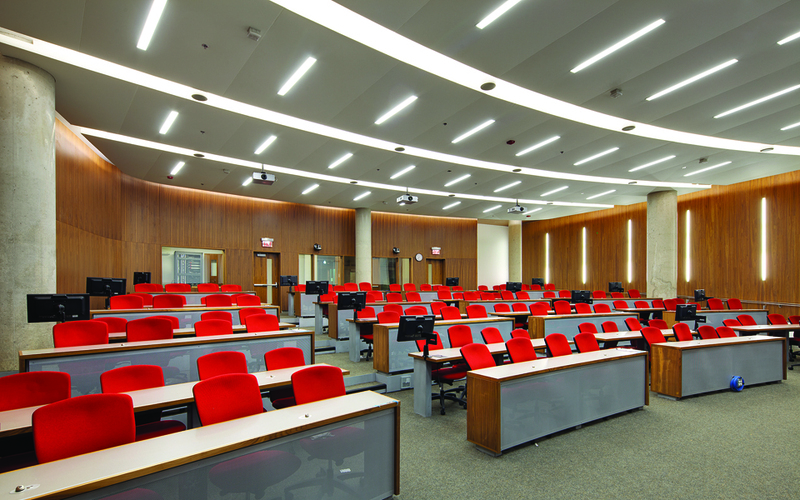 The facility is a 128,260 ft2 building on five levels, plus a mechanical penthouse, and consists of a teaching facility comprising medical teaching spaces, simulation labs and surgical/technical skills labs, autopsy, microbiology and biochemistry labs and support spaces, physiology/ pharmacology and support spaces, anatomy and dissection labs, 2 teaching theatres, medical teaching facilities and study rooms. 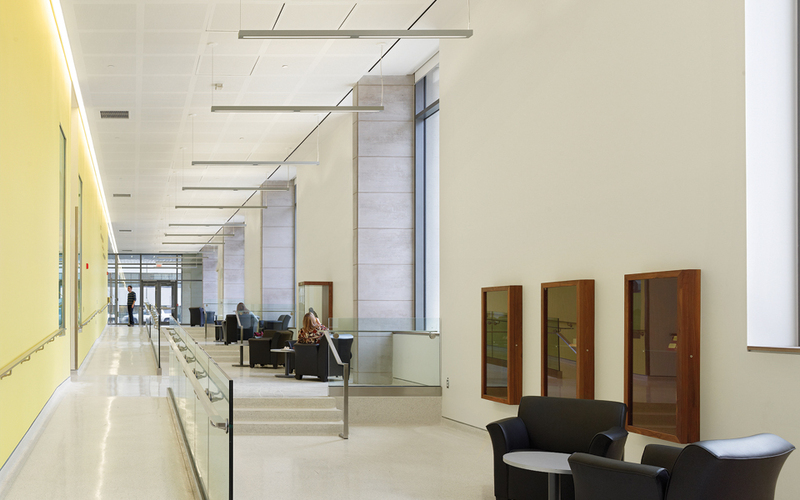 Lighting elements include both fluorescents and metal halide fixtures. Feature lighting showcases retained heritage aspects of the building, such as the original façade. Images courtesy of Diamond Schmitt Architects.